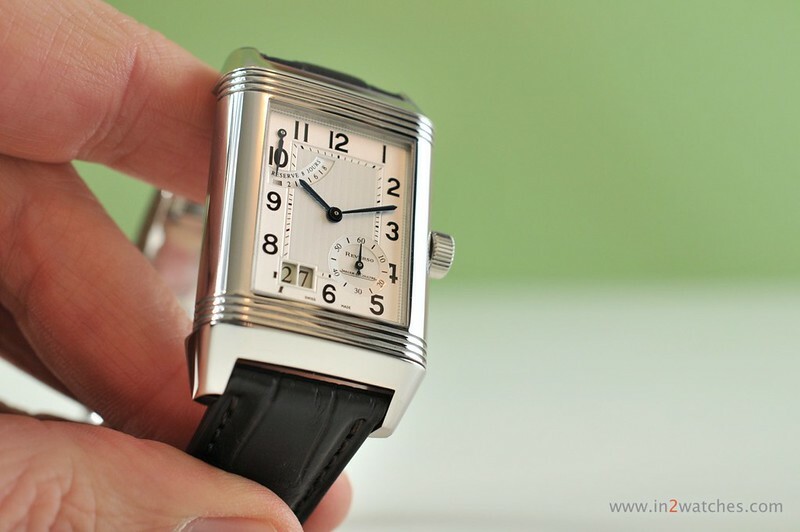 One of the most beautiful and interesting Reverso’s, the Reverso Grande Date with power reserve indicator (JLC reference number 300 84 20). This manual winding watch has a power reserve of eight days, hence has only to be wound once a week. 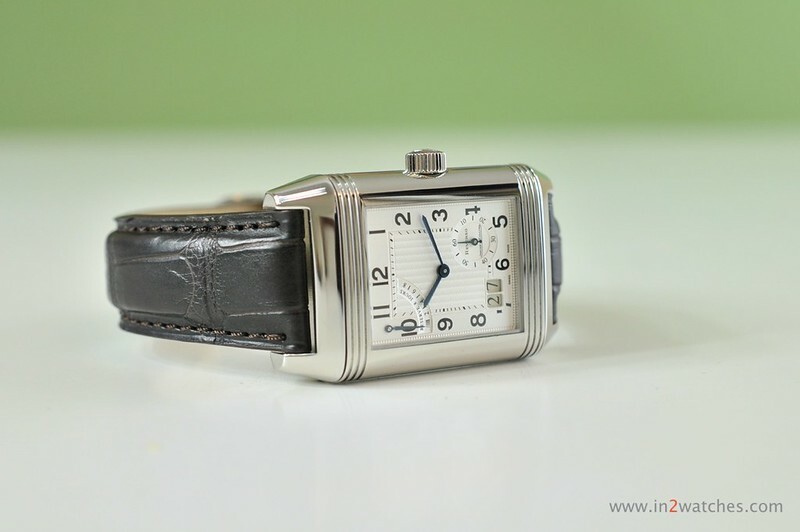 It was sold new in 2005 and was just fully serviced at the official Jaeger-LeCoultre service center in The Netherlands; never been worn since.. It is in a absolute fabulous condition. The only minor marks of wear are on the back of the watch, which can be clearly seen on the pictures linked to below. Of course the watch got a new original Jaeger-LeCoultre leather strap with the general overhaul (which cost € 1.015,=) as well. 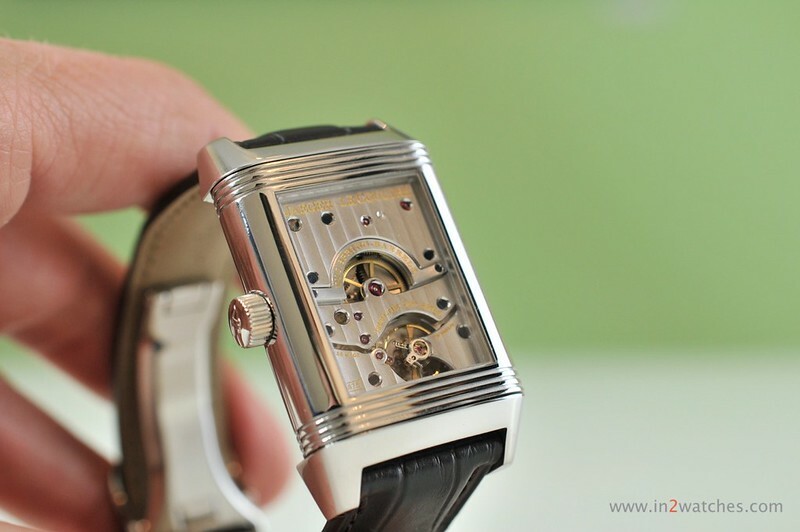 It’s almost obvious that a watch with such a beautiful and interesting movement (JLC caliber 875) sports a glass back when turning the Reverso-case. The price of this beauty is € 5.450,= (plus S&I, watch is in The Netherlands) and it comes complete with the original box and paperwork, as well as the service documents. This entry was posted on March 16, 2013 at 13:52 and is filed under all, sold. You can follow any responses to this entry through the RSS 2.0 feed.